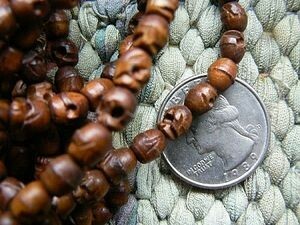 108 wood skull beads size 14x15mm strung in the mala style (with a guru bead). 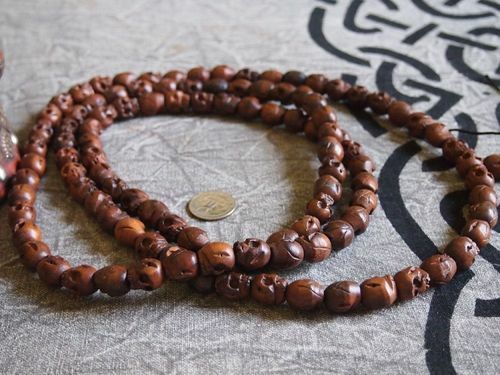 This is new addition to our line of handcarved wood skull beads and marks the first time that we've offered wood skull mala in this particular size. The hole size is approximately 4mm. 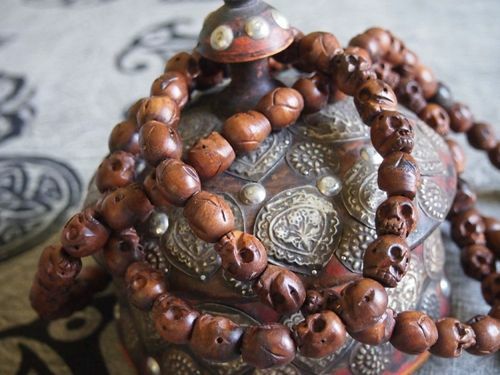 These nicely carved date wood skull beads are strung on a silk rayon cord. 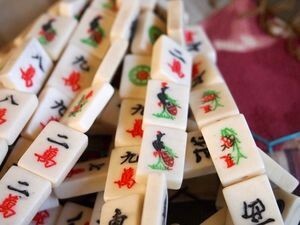 The length of the strand is approximately 66 inches. 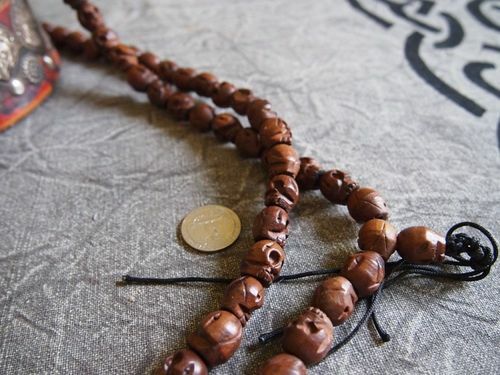 PLEASE NOTE: Wood beads are not varnished or sealed. 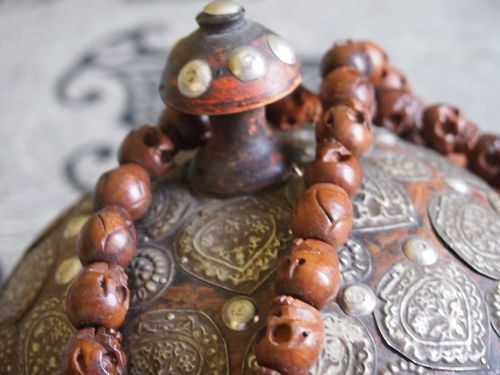 Please take care to avoid contact with water unless the beads are first sealed with an appropriate fixative, lacquer, oil or wax.